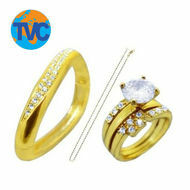 O Italian Jewellery – 7 set combo - TVC Skyshop - Buy world-class innovative products at affordable prices offering full value for money. O Italian jewellery is a combination of high Fashion, Style and Elegance. Each set of O Italian Jewellery Collection is exclusive in its design. O Italian jewellery is made of beautiful high quality beads, Amber gemstones, and golden work. You can mix and match these 7 beautiful jewellery sets with your other dresses and make yourself look more stylish. O Italian jewellery will make you the center of attraction for every occasion. This beautiful yellow theme based beaded necklace with matching earrings gives you a different style statement. With large engraved pendent in golden touch, this set makes you look outstanding. It’s a beautiful combination of green and maroon colour with golden touch. This necklace is a perfect evening wear option. With matching earrings you get an eye catching look in this set. It’s a beautiful red beaded necklace with green uncut stone pendant and Ivory beads in golden touch. Diamond-golden work on the stone pendent gives it an exclusive look. With matching earrings it will make you look elegant and fashionable. This stunning necklace is a combination of traditional and modern style. Pearls give you a classy look, and green beads ad into it a refreshing feel. With this beautiful red gemstone pendent and matching earrings, this set will make you the center of attraction. Those who are missing a beautiful traditional jewellery set in their collection will love it. This golden pearl necklace comes with matching earrings and beautiful Maang teeka. It is a perfect festive wear. This necklace is an exclusive combination of light pink and firozi beads. The involvement of traditional golden work and central ivory beads is enhancing the beauty, and creating an eye catching fusion. With matching earrings this necklace is a perfect wear for all occasions. It is a beautiful combination of lavender beads and pearls. Dual color amber stones and golden beads make it look very fashionable and stylish. With matching earrings this necklace gives you a trendy look for your kitty parties and social gatherings. O Italian Jewellery – 7 set combo O Italian jewellery is a combination of high Fashion, Style and Elegance. Each set of O Italian Jewellery Collection is exclusive in its design. O Italian jewellery is made of beautiful high quality beads, Amber gemstones, and golden work. You can mix and match these 7 beautiful jewellery sets with your other dresses and make yourself look more stylish. O Italian jewellery will make you the center of attraction for every occasion. Design No. 604 This beautiful yellow theme based beaded necklace with matching earrings gives you a different style statement. With large engraved pendent in golden touch, this set makes you look outstanding. Design No. 611 It’s a beautiful combination of green and maroon colour with golden touch. This necklace is a perfect evening wear option. With matching earrings you get an eye catching look in this set. Design No. 617 It’s a beautiful red beaded necklace with green uncut stone pendant and Ivory beads in golden touch. Diamond-golden work on the stone pendent gives it an exclusive look. With matching earrings it will make you look elegant and fashionable. Design No.626 This stunning necklace is a combination of traditional and modern style. Pearls give you a classy look, and green beads ad into it a refreshing feel. With this beautiful red gemstone pendent and matching earrings, this set will make you the center of attraction. Design No. 613 Those who are missing a beautiful traditional jewellery set in their collection will love it. This golden pearl necklace comes with matching earrings and beautiful Maang teeka. It is a perfect festive wear. Design No. 616 This necklace is an exclusive combination of light pink and firozi beads. The involvement of traditional golden work and central ivory beads is enhancing the beauty, and creating an eye catching fusion. With matching earrings this necklace is a perfect wear for all occasions. Design No. 618 It is a beautiful combination of lavender beads and pearls. Dual color amber stones and golden beads make it look very fashionable and stylish. With matching earrings this necklace gives you a trendy look for your kitty parties and social gatherings.